Alright! So you’ve planned a trip to Orlando and your getting ready to head on out! That’s great to see, to be quiet honest I’m jealous, Orlando has by far been one of my favorite places to travel to. You are in for a treat, well that is if you know what you’re doing, here are some tips that will help you have a great time in Orlando. 7. Check out the weather. Orlando is one of those places where the weather is almost always perfect. Unfortunately when it’s not perfect things can go extremely wrong. Check out the news and see what the weather guys have to say about the conditions. Plan accordingly, don’t leave this up to chance, if you get caught in the rain the whole time you’ll be glad that you brought the right clothes. 6. Are you a Universal Studios kind of person? 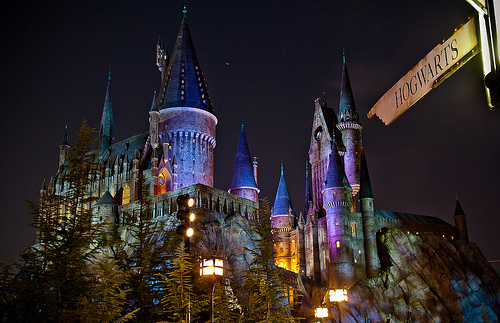 Are you planning on going to Universal Studios? What about Disney World? , the question is, what kind of guy/gal are you? Research the places that you want to go to before you head on out. Some are more geared towards families with little kids, while others are better for teenagers or adults. 5. Budget, then budget again. This is something you should do, regardless where you go on vacation. Remember, you’re not just paying for the amusement parks, you have to pay for food, drink, gas. These things can add up, and the last thing you want is a few extra thousand dollars of credit card debt that you weren’t expecting. 4. Plan to have fun! Do you know what you’re going to do? No? Why not? If you don’t make any plans for vacation, well then you’re planning to do nothing at all! Make a list of fun activities that you want to do, you can find anything in Orlando. Want to go clubbing? Sky diving? You can do it all in Orlando, would you rather go see some museums? You can find those there as well. Just make sure that you make plans to do what you want to do. 3. Want to save some money? Alright, let’s say you’re going by yourself, or with only one other person, and for whatever reason you want to save as much money as possible. One option is to stay at somebody’s house, by staying on their couch. There are a few websites that you can go on, where people will offer their couch to you for a night, for a reasonable rate. This will usually be a lot less than a hotel and sometimes they’ll even make you free breakfast! 2. Eat some good food! One of the main reasons that we go on vacation is so we can eat good food! Orlando is famous for it’s steak, and for it’s giant restaurants thanks to Disney World. If you’re looking for more of a local taste you can find local food in Colonialtown, Colonialtown is well known for having some of the best food, loved by the locals and Orlando businesses alike. 1. Go to a night club! Orlando is well known for it’s crazy night scene. If you’re looking at participating in this amazing dance environment you should check out the I-drive. Orlando has some extremely “high class” night clubs, that have high dress codes. Make sure you plan accordingly if you want to get into one of these night clubs, if that’s not your thing there are plenty of more casual clubs available. Trey Duling of the University of Mississippi is an Orlando resident and works at Affordable Travel in Orlando. I live in Orlando. This is a great list. One small change to #7 would be to always bring an umbrella. If it isn’t raining, it will soon. Also, iDrive has a ton of restaurants as well as clubs, bars, and other entertainment. I live about 5 minutes away and always end up eating somewhere on iDrive when I go out. There are so many choices. Even though staying on iDrive is a great central location for all the big parks, many people come to Orlando just to spend time on iDrive. There is a lot to do here for all ages, which makes it a good option for those who can’t afford the insane park prices. Speaking of which, ALWAYS check to see if you know someone (who knows someone, etc) who works at a park before getting tickets. It could save you a ton of money. And, no, if you’re wondering, I don’t work for iDrive. I just love this city. I’m not much of a night club person but the rest of it sounds like good advice!